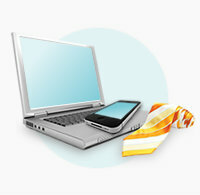 Conduct banking anywhere and everywhere you conduct business. Just like the name implies, mobile banking provides banking capabilities like checking balances, making transfers, and paying bills while you're on-the-go. No matter if it's noon or night in Texas or Tennessee, you always have direct access to BTH Bank. And the cost of this new-found freedom? 100% free! Just go to www.bthbank.com from your smart phone or mobile device to conveniently access your favorite online banking features.